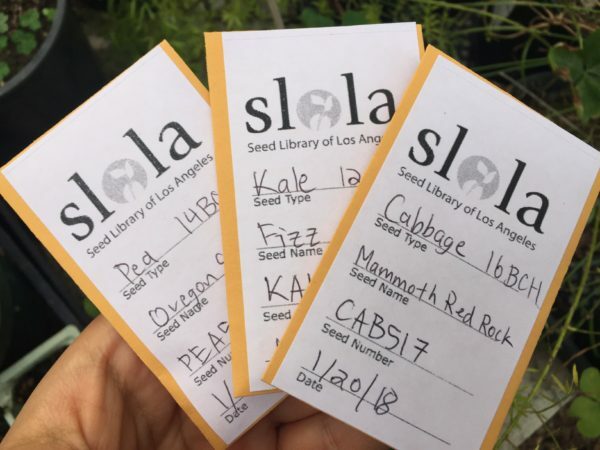 Check Out These Seeds: What is a Seed Library? Seeds should be shared, their nature insists upon it. A single pumpkin contains hundreds of seeds. when lettuce bolts, the seeds produced are difficult to contain. Nature produces in abundance and the seed saver knows each year their collection grows exponentially. Seeds thrive when distributed among community growers, not when copyrighted and claimed as intellectual property. In 8 Seeds With More Than Great Packaging, we looked at some of the best organic seed companies. The list did not end with a company but with what is often the best source of seeds, a seed library. A seed library works like a public library, you “check out” seeds and later “return” them. Members grow what they check out and at the end of the season allow a portion of their crop to go to seed. 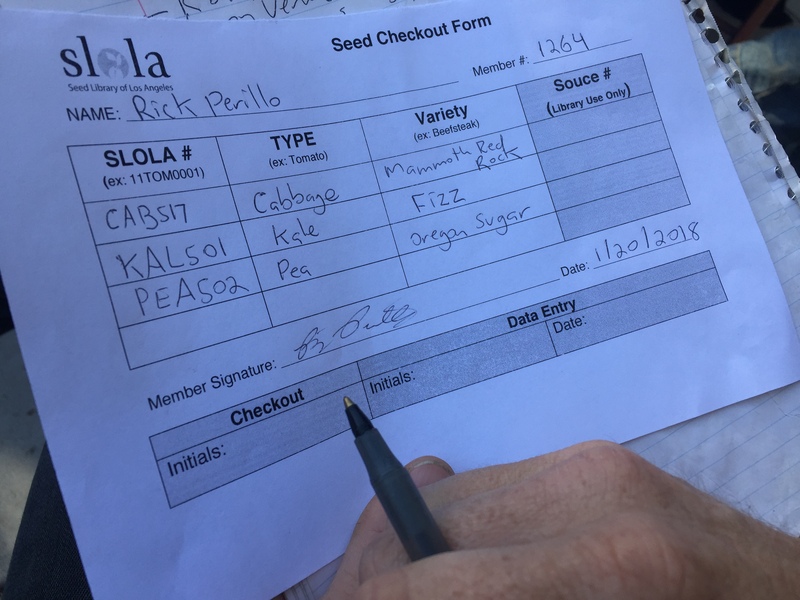 The seed is harvested and returned to the library. Like a public library, seed libraries are free (a small membership fee may be required and donations requested). Seed libraries build community, promote food justice and protect seed diversity. Seeds expire. Some, like lettuce, are only viable for a few years. Therefore, if not grown, plant varieties go extinct. 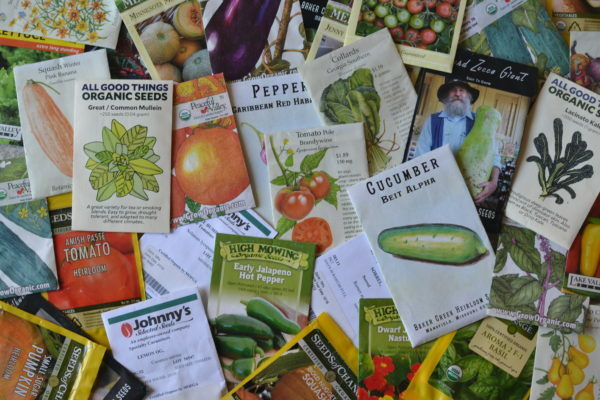 A seed library takes the task of growing out crops and spreads it out among its members. 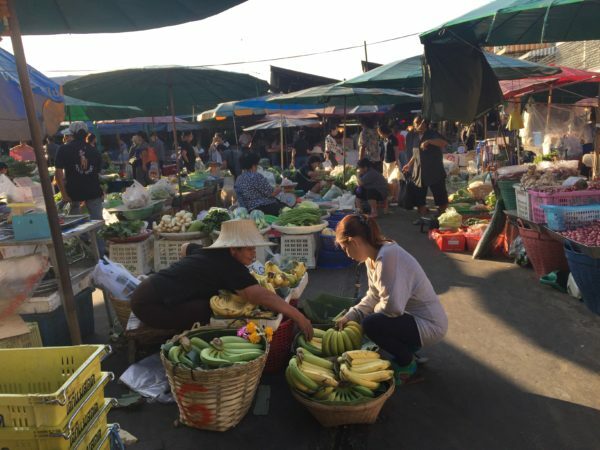 This network of growers provides resilience for the crops they grow. Sharing in this important work builds community. More importantly, knowledge is shared. Every community has its own micro-climate, soil type and other factors that affect plant growth. By sharing knowledge about the plants they grow, gardeners improve their crop selection and gardening techniques. The seed library I am a member of, the Seed Library of Los Angeles (SLOLA), hosts several meetings throughout the city each month. Some are in community gardens, others in public libraries. Members exchange seed, listen to guest speakers and share knowledge. According to the United States Department of Agriculture (USDA) 12.3 percent (15.6 million) of U.S. households were food insecure at some time during 2016. The Food Justice Movement aims to provide access to healthy, locally grown, fresh, culturally appropriate food. By saving our own seeds, growing them and sharing them with our community, we tear away from reliance on outside food sources and instead rely on our community for healthy food. We also experiment with rare varieties and connect with different food traditions. We save money by not purchasing seeds. 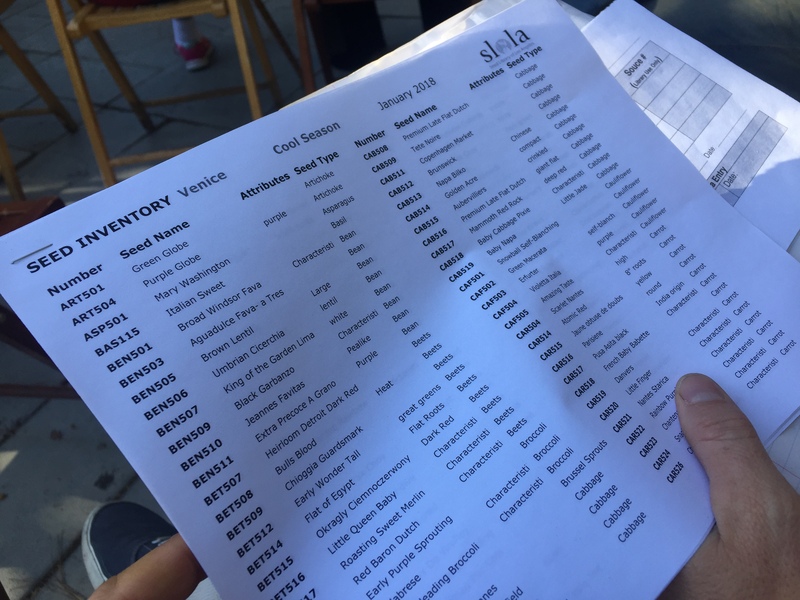 A selection of SLOLA’s seed inventory. We lose plant varities if we do not grow them. By disturbing seeds among its members, seed libraries foster backup sources for their collection. Seed libraries also create plant diversity. When people save seeds from those plants best adapted to their communities over time new varieties emerge. Think of the farmers in the diverse climate regions of Italy developing Toscano kale and San Marzano tomatoes. These varieties are named after those places where they developed and are best adapted to. One day I hope to see a City of Angeles cucumber. 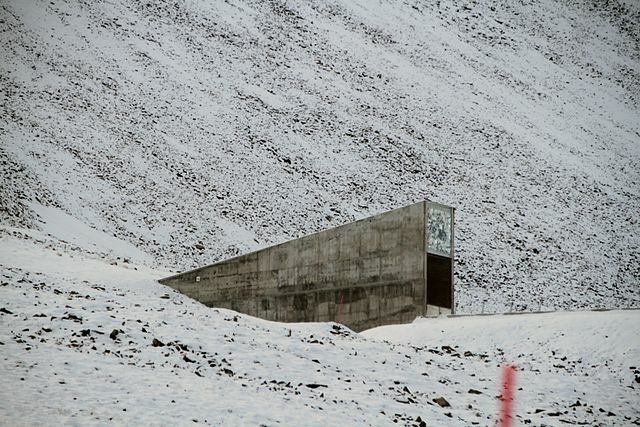 Seed libraries are an integral force in protecting seed diversity. Search for a seed library in your community at www.seedlibrarian.com. 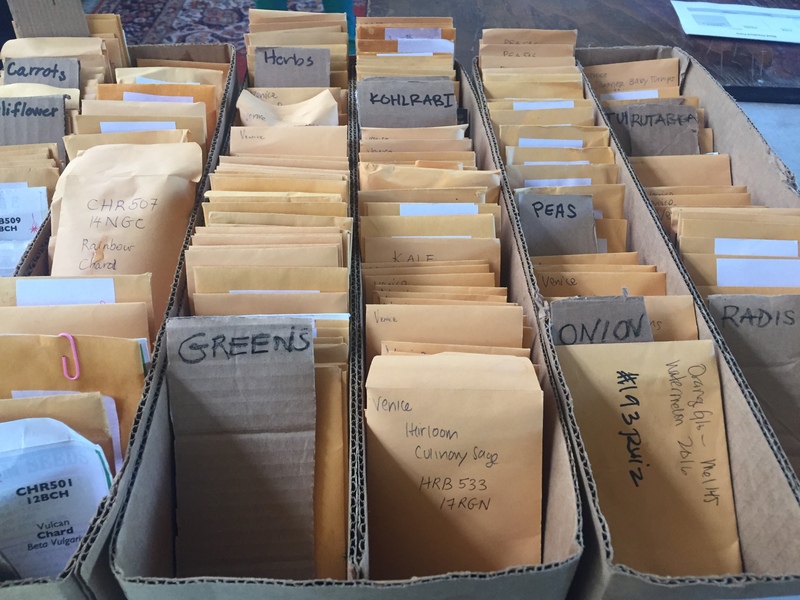 If your community does not have a seed library start one yourself.